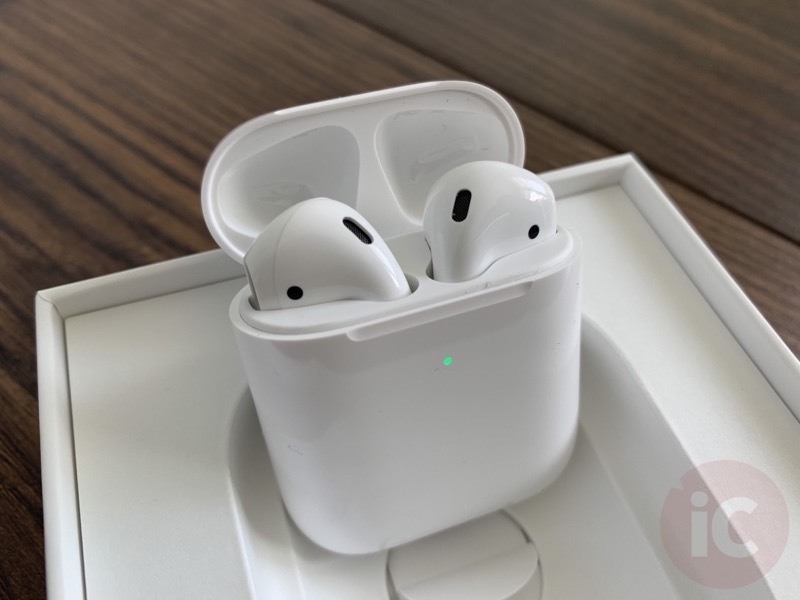 Apple launched its second-generation AirPods just under two weeks ago, while also debuting a Wireless Charging Case for the first time. The update comes just over two years after the original release, which we called ‘amazeballs’ in our review. 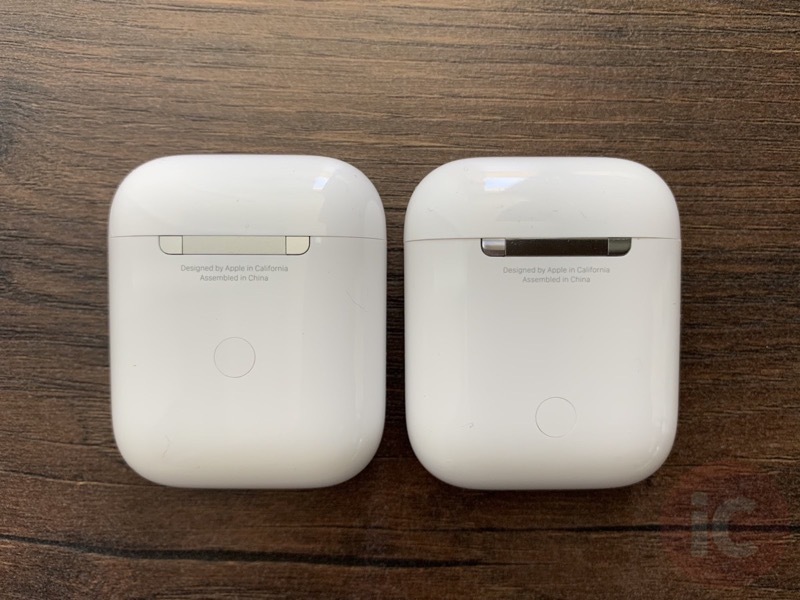 AirPods 2 come in the same design, while the price remains the same, unless you opt for the new Wireless Charging Case at $50 more bundled, or $99 as a standalone charger. How do AirPods 2 fare and sound versus its predecessor? Let’s find out in our quick review. 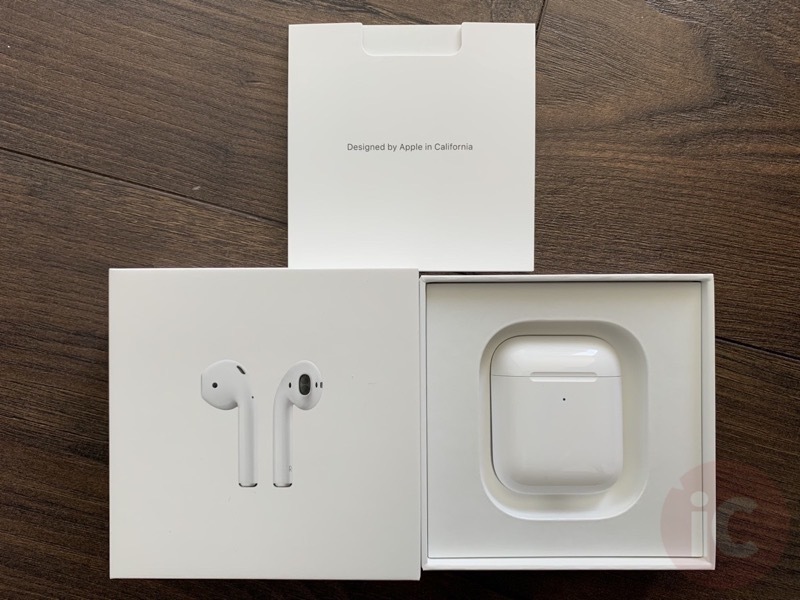 AirPods 2 come in the same box and include a Lightning USB cable, even the version with Wireless Charging Case. What’s cool is when you’re pairing AirPods 2 for the first time, the animation on iPhone reflects the new matte hinge and LED indicator. 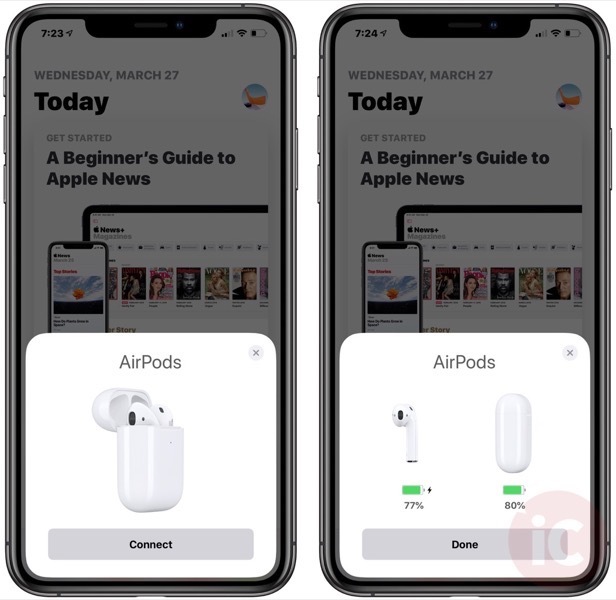 In terms of weight, AirPods 2 will bring a 2 gram increase, coming from the Wireless Charging Case. 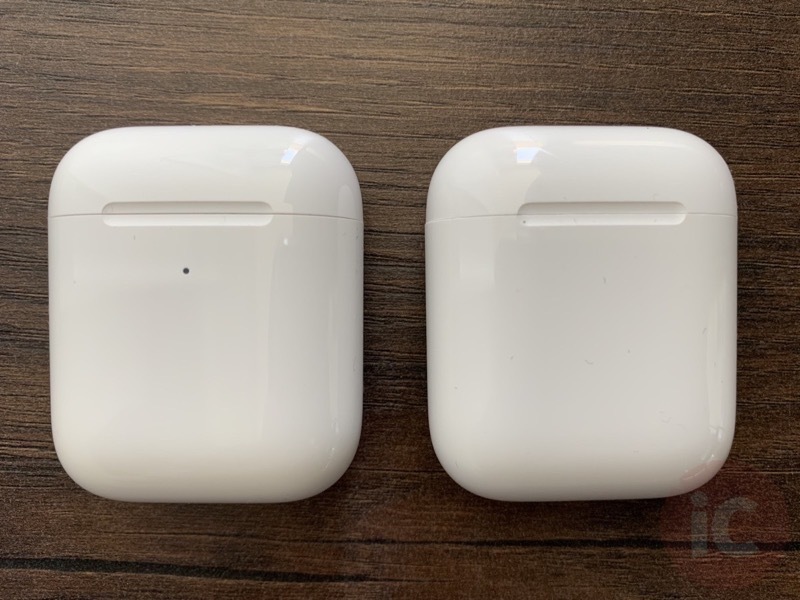 Total weight is 48 grams versus 46 grams for AirPods 1. The Wireless Charging Case, when snapping the lid to close, has a slightly deeper ‘snap’ sounds versus the original case. Both cases remain very slippery and will easily fall out of your pockets (unless you are using a PodPocket). The main benefits of AirPods 2 include the power of the new H1 chip for faster pairing, battery life and sound. I rarely use ‘Hey Siri’ so this didn’t matter much to me, but it’s convenient to have if you use Apple’s assistant a lot (Siri really needs to be overhauled). But one significant improvement is how quickly AirPods 2 can now pair with your devices when synced across iCloud, especially on the Mac. Previously, the original AirPods would take forever to pair with my Mac or not at all. Now, with AirPods 2, it’s pretty much instant and automatic. If I do need to select AirPods from the menu to connect, it happens pretty much right away. Also, AirPods 1 would sometimes take forever to even register in your ears. But with AirPods 2, the moment they are in your ear, they connect. 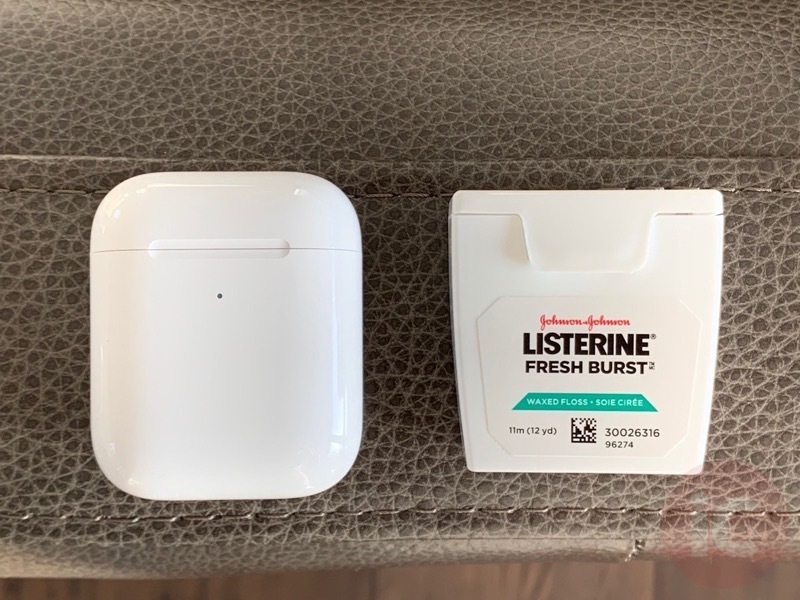 No more cupping your hand over your ears or taking an AirPod in and out to get it to connect. Now they work even better. When it comes to sound, listening to the same song at the same volume, AirPods 2 are noticeably louder, with more prominent mids, highs and bass. My current AirPods 1 were purchased back in December after losing my first set and they don’t sound as loud as these newer AirPods. When I have AirPods 2 connected to my iPhone and I’m beside Apple’s HomePod, summoning ‘Hey Siri’ results in the assistant correctly speaking to the wireless headphones. Wireless charging with the case is convenient as you can just place it down on any Qi charger. The LED briefly shows orange to indicate charging, then turns off. I’d like to see this LED remain on while charging and then turn to green when the battery is replenished. There is no other way to check the charging status of the case when it’s being wirelessly charged. Is paying extra for the Wireless Charging Case worth it? If money is not an issue for you, yes. But if you’re okay with plugging in a Lightning cable, it’s not that much more convenient. With AirPower being killed by Apple, charging all your devices wirelessly now means turning to third parties, such as NOMAD’s Base Station Apple Watch Edition. I haven’t had time to fully test battery life, but so far they have fared as good or better than my original AirPods. When I’m not using AirPods, they’re back in the charging case so I don’t lose them. Overall, Apple’s AirPods 2 are a worthy iteration to their ubiquitous wireless headphones. The worst part about AirPods is not having them with you when you’re using multiple Apple devices. That’s why having a second set means you can leave a pair by your Mac and keep one by your nightstand, saving you some steps when you’re all tucked into bed. Talk about #firstworldproblems. 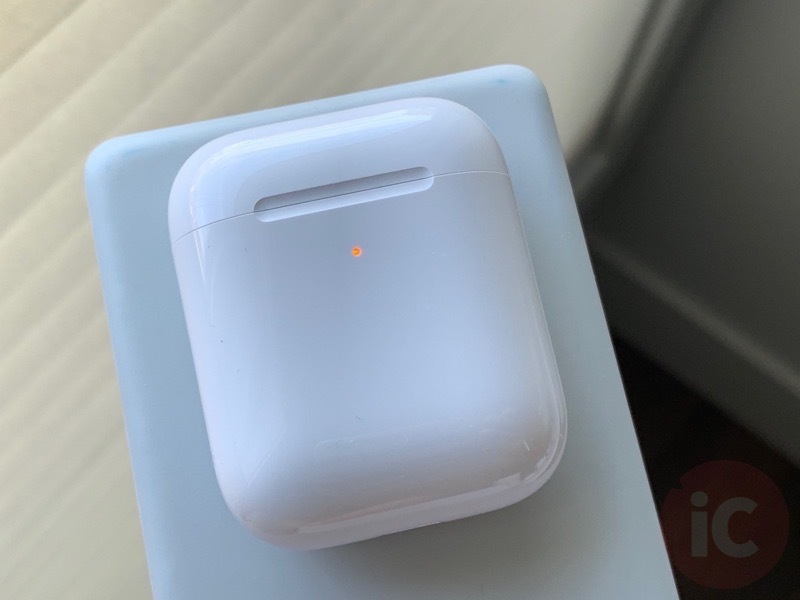 If you’ve been holding out to buy a pair of AirPods, getting this second generation with its regular charging case at $219, the same price as before, is worth it. If you own multiple Apple devices tied to an iCloud account, AirPods are a must-have, despite the high price tag. AirPods 2 cost $219 CAD, while the version with Wireless Charging Case is $269 CAD. A standalone Wireless Charging Case costs $99 CAD. 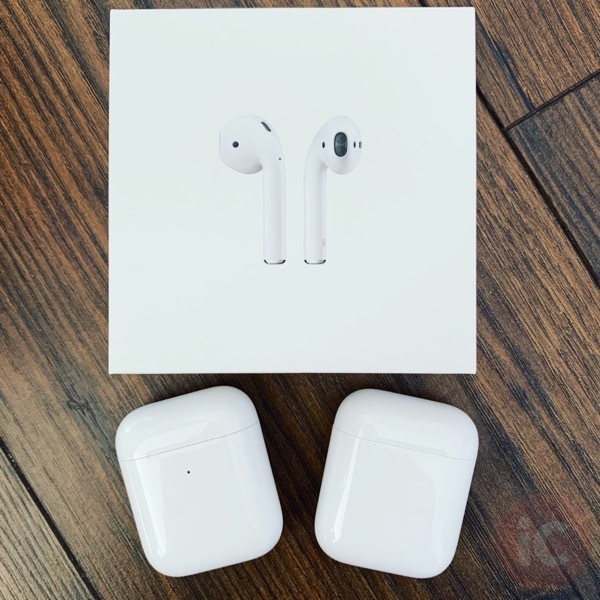 How are you liking Apple’s second-generation AirPods?